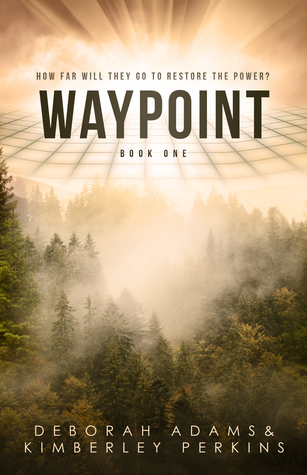 To ask other readers questions about Waypoint, please sign up. Deborah has been an avid reader since she was very young and grew up in the thrilling age of Harry Potter midnight book releases. Weaving together stories from nothing and characters who feel real to readers has been a life-long ambition. Deborah holds a degree in Communication from the University of Alabama in Huntsville. By day, she directs the Human Resources department for a defense contractor and by night she works with co-author Kimberley Perkins to write thrilling adventures with tons of romantic tension. She lives in Huntsville, Alabama with her husband John and two boys Weston and Warner, cheering along with their soccer teams and loaded down like a pack mule with chairs, snacks, and other sundry items.